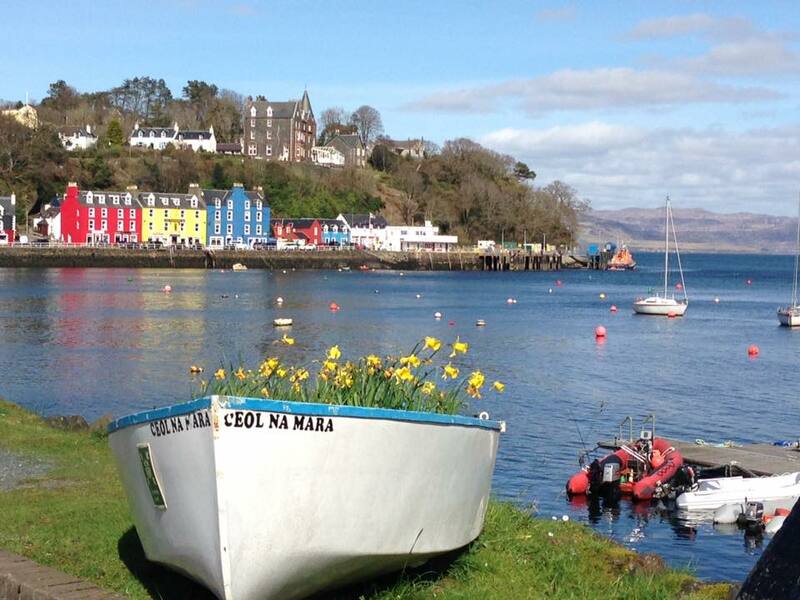 With walks ashore, houses and gardens, museums, visitor centres and much more, this delightful cruise of the Atlantic Isles really does have something for everyone. Departing from Oban, we enjoyed a southerly sail to Ardfern to our overnight anchorage off the marina. 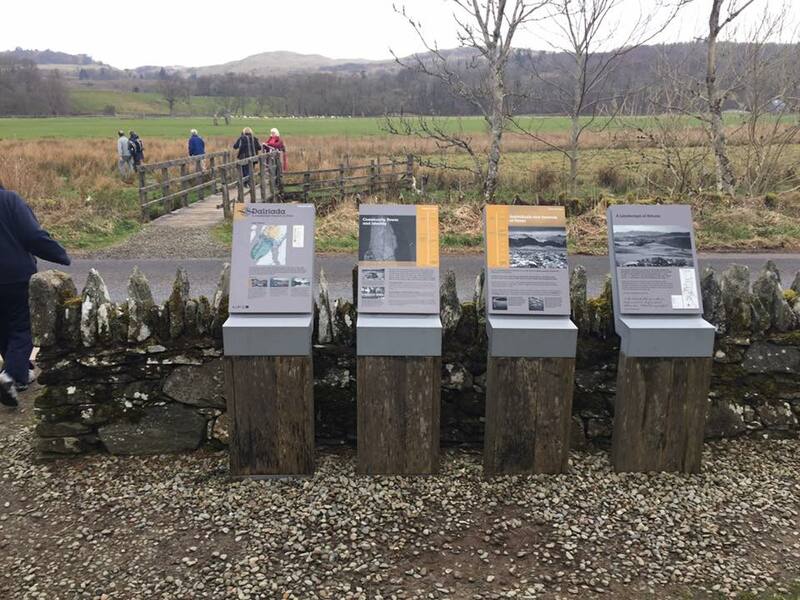 We spent this morning exploring some of the 800 internationally significant historic sites and monuments dating back over 5,000 years at Kilmartin Glen and Museum. Following lunch on board we enjoyed a stretch of legs at Tayvallich before heading to our overnight anchorage in Loch Sween. Our morning was spent in Port Ellen on the Isle of Islay where guests explored on foot. After lunch, we toured the award winning Ardbeg distillery and sampled a wee dram or two! 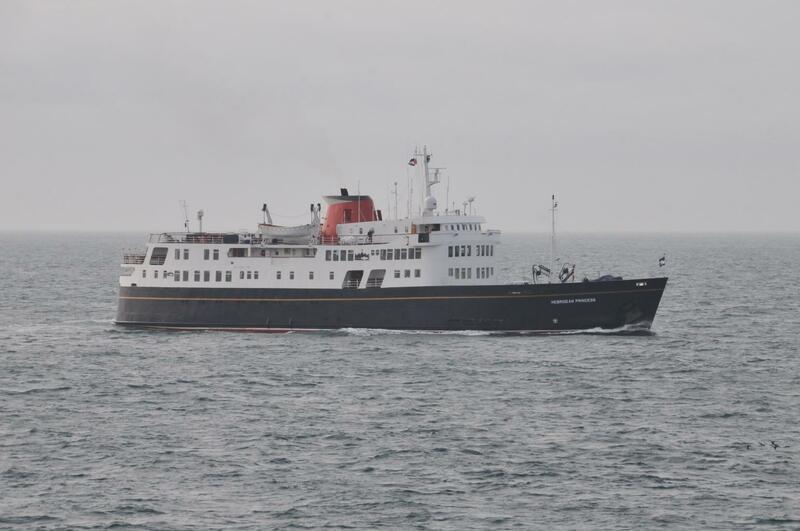 The ship was spotted off Port Ellen by regular cruiser John Noorani who kindly sent in these images. We anchored overnight off Port Ellen. Today guests strolled on the Isle of Jura to the island's only settlement at Craighouse. On Colonsay we explored the exotic woodland gardens of Colonsay House and the stunning sandy beach at Kiloran Bay. We anchored overnight night in Loch na Keal off the Isle of Mull. 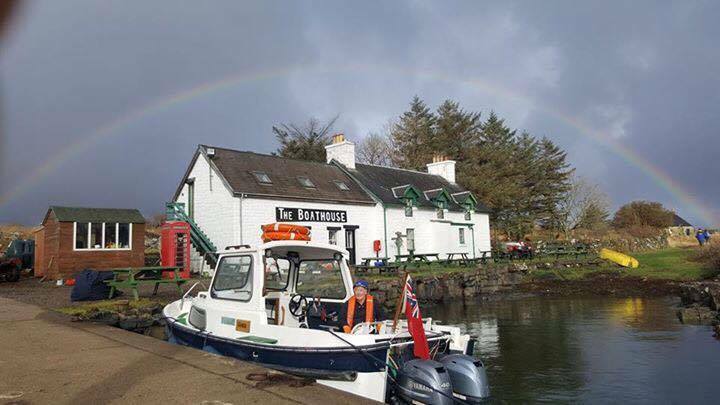 A rainbow greeted our arrival on Ulva this morning where guests visited the reconstruction of a traditional thatched croft house, Sheila's Cottage. After a short cruise to Iona, guests were tendered ashore on a stunning afternoon for a visit to the Benedicitine Abbey. Our overnight anchorage was in Loch na Keal. The Isle of Coll was our next port of call, for walks ashore. Heading for the Isle of Mull we landed at Tobermory to learn of the traditional cheese making methods used at the Isle of Mull cheese farm. 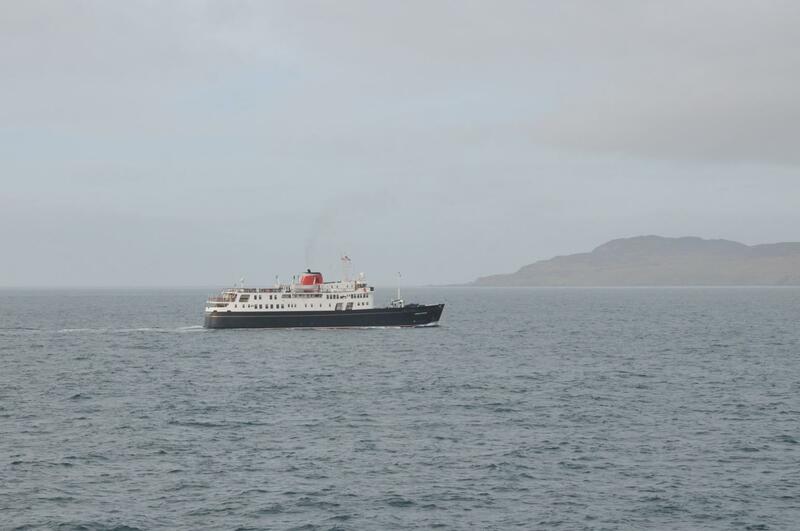 Cruising through the Sound of Mull, we anchored overnight in Loch Linnhe. Our final foray ashore was at Ballachulish where guests learnt of the history of the imposing Glencoe landscape at the local visitor centre, before relaxing on board during an afternoon sail on passage towards Java Point in the Sound of Mull. 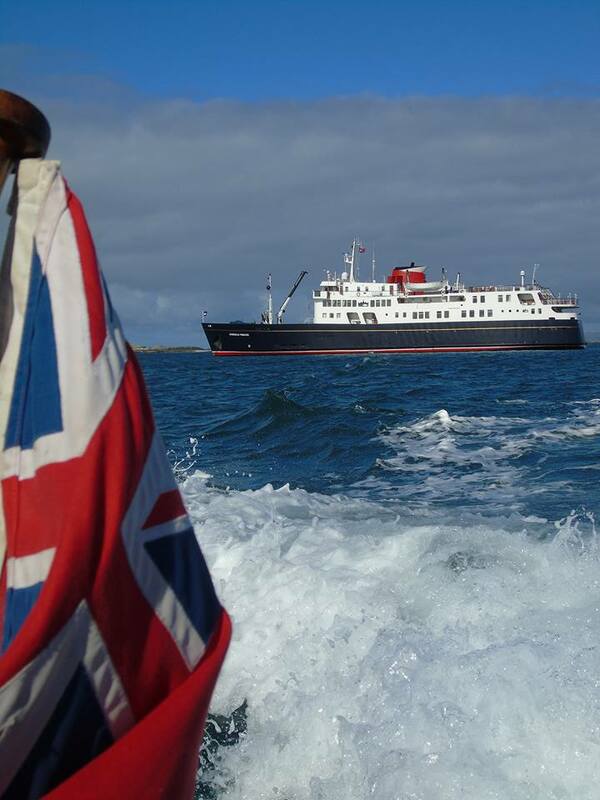 After an early morning cruise into Oban, our Captain and crew waved farewell to our disembarking guests.